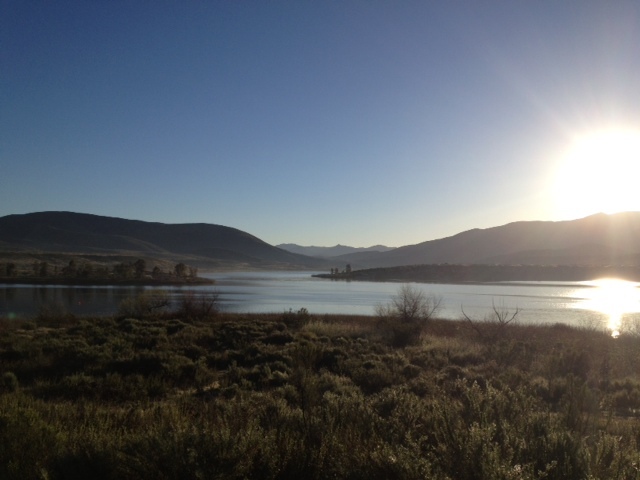 Sun rising over the Otay Reservoir before morning practice. The three weeks in San Diego seemed to fly by. Being at training camp sort of feels like you’re in a time warp: the days blend together and everything outside of your life of eat, sleep, row (repeat) seems to stand still. Then you wake up one morning and it’s time to go back home, albeit to MORE training, but Spring has finally arrived and the 2013 Winter Training Camp at the Olympic Training Center in Chula Vista, California is over. 12 athletes spent a solid three weeks of training in San Diego, while the London Olympians competed in Australia at the Australian National Championships and Sydney World Cup. We all rendezvoused back in Princeton, New Jersey today for the beginning of full team training. Up next: National Selection Regatta I and II, World Cup II in Eton Dorney, Great Britain, World Cup III in Lucerne, Switzerland and finally the World Championships in Chungju, South Korea. Overall, training camp was a success. The group as a whole really came together. I think we were ready to have some space by the end of the three weeks (find me a group of 12 tired, hungry women spending 14-16 hours a day, every day together who wouldn’t need that), but everyone worked hard and made personal advances. Our last session on the water included an exchange of several 250-meter pieces between the 8+ and the 4x. It was fun to put all of our hard work to use and have the opportunity to compete with each other. 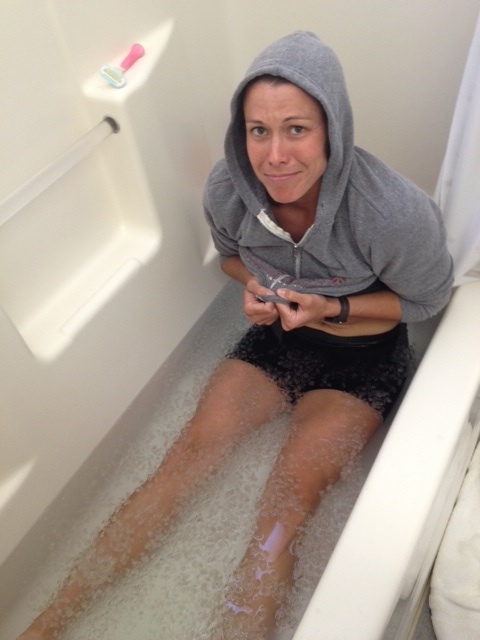 A common training camp ritual: the ice bath. As I jogged around the OTC last Saturday afternoon for my recovery run from the brutal workout we had earlier that morning, I took in my last sights and sounds of sunny California and tried my best to soak up the moment. One of the BMX courses is hosting a youth event of some sort. Young boys and girls shoot out of the gates, pedaling up and down the dirt hills as fast as they can fearless and unabated. I continue along the running path, curving to the left and passing by the soccer fields where there is a soccer identification camp being held. Parents anxiously watch as their sons and daughters run drills, showcasing their 12-year old skills. The next generation of Olympians hard at work already. I peek to my left as I hear the yells from the rugby field. The women’s team is scrimmaging, working day in and day out for their debut as an official Olympic Sport in 2016. How cool is that? The path cuts around the back of the OTC, by the Archery Center and the orange tree grove, on the way to the track. As I ascend the top of a hill, I have a full view of the lower Otay Reservoir where we’ve spent the last 21 days grinding it out on the water. Set against the backdrop of a low mountain range, the landscape is breathtaking. Maybe it’s the endorphin high from the tough pieces that morning or the exhaustion from a long three weeks, but it’s moments like this that remind me of how truly lucky I am. It is hard to believe it’s already April. The next few months will be filled with intense training, erg tests, selection pieces, and plenty of good days and bad days. We have a great mix of new and veteran athletes this year and will undoubtedly put together an exceptionally talented team. It’s going to be a great start to the cycle. I know I can speak for the rest of my team when I say we can’t wait to make boats go fast and bring home some hardware. Awesome stuff, Mego. Can’t wait to read the next progress report and hear how you’re doing! Continued great success! !